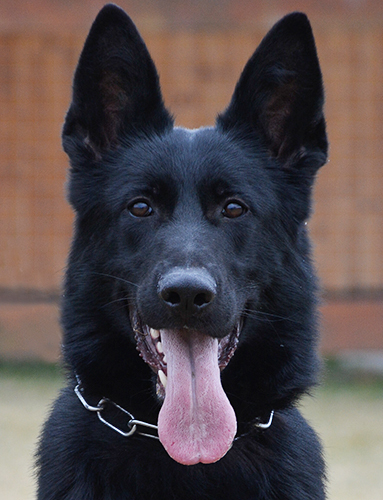 Adel is usually described by training staff as a Belgian Malinois inside a German Shepherd's body. 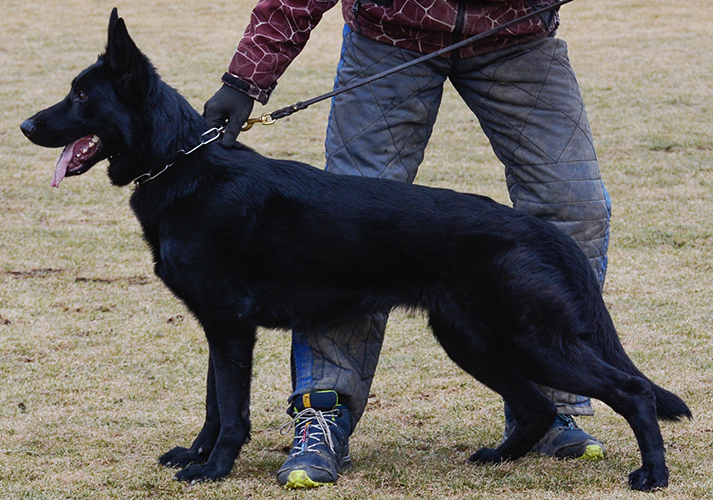 For anyone not familiar with the Belgian Malinois the reference is to Adel's speed, tenaciousness and INTENSITY in protection. 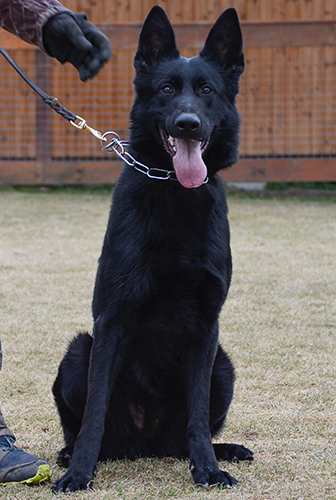 That along with a style of working (flashiness usually found only in the Belgian Malinois breed). The majority of our dog's personalities can be described as friendly and affectionate. Adel can be described in the same way as well. It does leave out a favorite qualities we have come to enjoy in Adel, she's very cute. It's hard to describe but quickly experienced. Adel is available for delivery before Christmas!